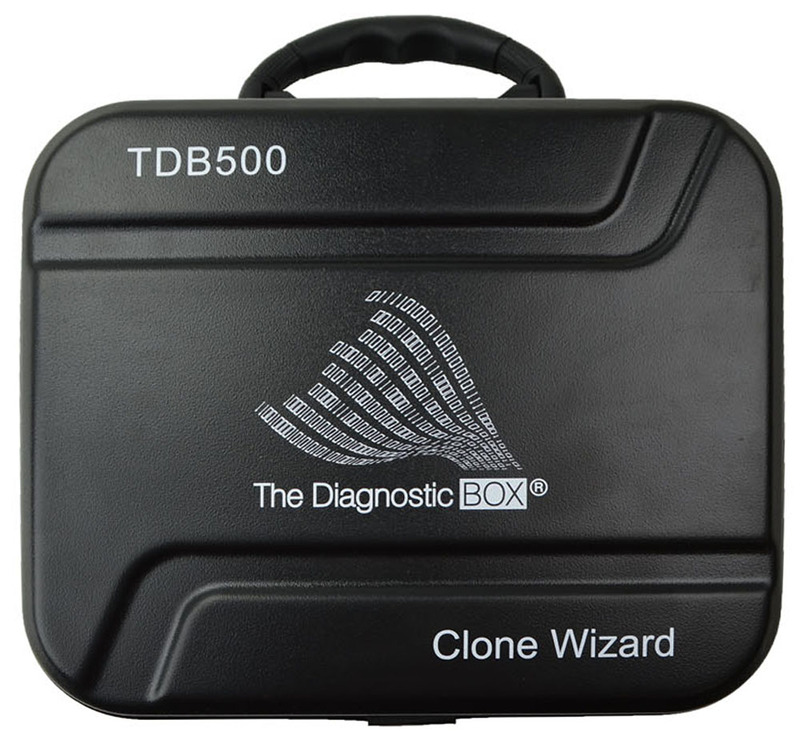 The TDB500 Clone Wizard is a new simple cloning tool from The Diagnostic Box. This simple cloner uses clever color coded transponders, making this tool super easy to use. • EASY MODE offers simple cloning using our simple color cloning system, with 5 easy to use color transponders. • EXPERT MODE offers more in depth transponder cloning, transponder pre-coding, transponder resetting, transponder preparation to name a few features. 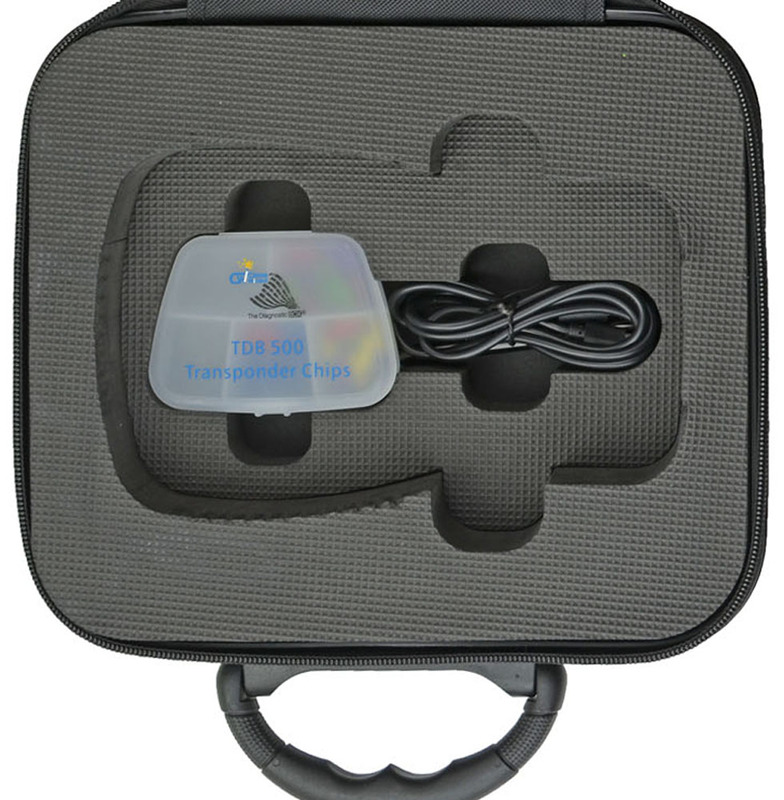 CLONE WIZARD PACKAGE - What's included: The TDB500 Clone Wizard comes with a starter pack of transponders, touch screen pencil, transponder holder tray and carry case. 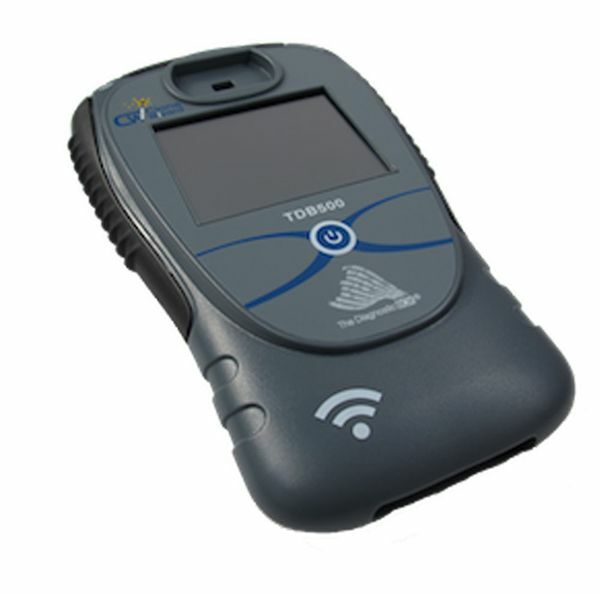 • Fiat, Alfa, Chrysler, GM and RAM models that require precoded keys can now be programmed with TDB1000 and TDB500. SIMPLE ICONS - The TDB500 Clone Wizard uses simple icons to navigate the functions. These icons are also located on the rear of the device for easy reference. The TDB500 Clone Wizard has an internal rechargeable battery making it both portable and convenient to use, especially when sniffing vehicle key data for ID46 type keys. The Clone Wizard features a full color LCD touch screen display, removable tray for cloning transponders and a USB connection for battery charging and PC updates. 4. Congrats! YOU ARE DONE! The TDB500 is designed in the United Kingdom, and has a technical support team to support the product now and in the future giving you the confidence that this is the right choice.